Have you experienced being in an emotional turmoil as if you’re about to erupt? What if I tell you that you can manage to pull through if you just breathe more deeply. If you’re like us, you may have gone through this dilemma. 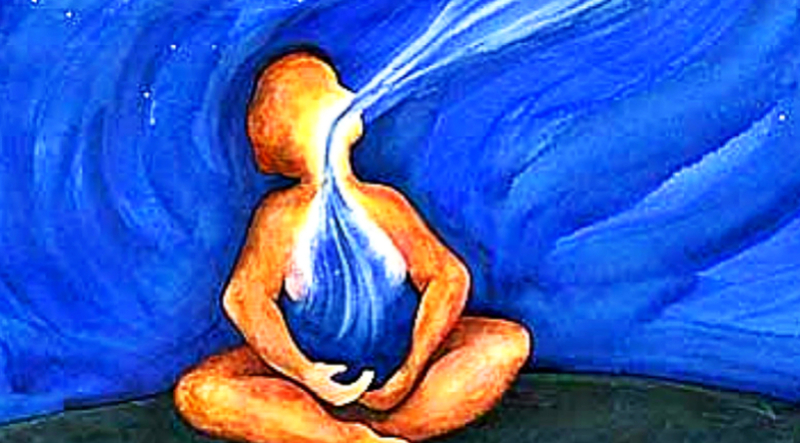 Calming your mind through deep breathing is not something magical that happens to your body say scientists. Every part of our body needs oxygen to maintain its proper functioning. Without oxygen in the body, no one will ultimately survive. Our body is such an amazing masterpiece that there’s no need for us to voluntarily breathe just to survive. When there is a part of our body that needs more oxygen, our brain sends signals to the muscles involved in breathing to adjust the amount of oxygen that body part needs. Hence, when we’re in a panic mood or in a strong emotion, our breathing automatically goes heavy. But according to science, there’s more that we can do with deep breathing than just calm our mind. We have the power to change our mind’s structure and pattern of thoughts too! Here’s how the research went! Doctors Jose Herrero and Ashish Mehta conducted a research to find how deep breathing affects the mind. They observed the brain activity of patients during normal breathing. After that, they distracted the patients’ attention by giving them a task to click a button every time a circle appeared on the computer screen. This allowed them to distinguish whether there was a difference between conscious breathing and normal breathing. Then, they asked the patients to count their breathing. What they observed was the patients’ brain activity changed every time the pattern on the screen changed. Different parts of the brain were activated as they manipulated their breathing. This showed that breathing patterns had an effect on brain activity. The study, however, needs further research that, when proven effective, can help athletes and others to manipulate their breathing and enhance their mind’s activity. In meditation, deep breathing is the key to controlling the activities of the brain, which is beneficial not only to our spiritual health but also to the physical. The brain benefits greatly through deep breathing as oxygen gets evenly distributed to all its parts. This process stimulates brain activity and promotes good health. Furthermore, deep breathing also calms jittery nerves. Even if there’s no final verdict yet as to the effectivity of manipulating breathing patterns to change our minds, our bodies already enjoy the amazing effects of deep breathing. And if further studies solidify that deep breathing can indeed change the way we think, then we should take deep long breaths as much as we can to improve our brain’s activity.